Debt service payments of $72 million for borrowing for salaries, pensions and other operating expenses will eat up most of a projected $100 million increase in sales tax revenues in 2019. 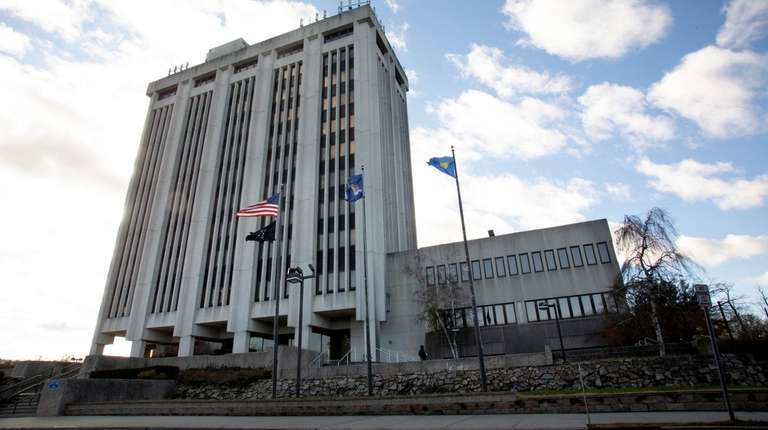 Suffolk has amassed $883 million in debt over the past decade for operating expenses such as salaries and pensions, and repayment is taking a chunk out of the county budget, according to a legislative budget report. Required debt service payments of $72 million in 2019 will eat up most of a projected $100 million increase in sales tax revenues, the report said. $257.6 million from a national tobacco settlement fund since 2008. $70 million from the sale and lease-back of the county's H. Lee Dennison Building in Hauppauge in 2013. $384.4 million from the state for pension costs since 2011. $171.3 million from a county sewer fund from 2014 to 2017. 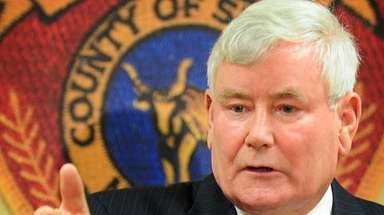 Eric Naughton, Suffolk County budget director, said the borrowing was necessary to prevent deeper service cuts and higher tax and fee increases after the 2008 recession. The "one-shot measures were necessary to keep the county afloat and continue operations," Naughton said. The 2019 budget will be "structurally balanced," with recurring revenues covering expenditures, he said. Suffolk Presiding Officer DuWayne Gregory (D-Copiague) said the decision to borrow for operations wasn't easy, but was necessary to avoid layoffs and further tax increases. "I think all in all, we did what we had to do to stabilize the budget the best we could," he said. But Robert Lipp, the legislature's budget review director, said the operating debt remains a burden. "We have to pay for one-shots or loans we incurred in previous years," he said. County Executive Steve Bellone, a Democrat who plans to seek re-election for a third term next year, has blamed the county's fiscal problems and need for borrowing and other one-shot borrowing on the deficit he inherited in 2012. He points to cost-saving measures of his including reducing the county workforce by 1,300 through layoffs and attrition, closing the county nursing home and privatizing health centers to save money. But Republicans note the county under Bellone has boosted fees for mortgages, security alarms and parks by a total of at least $70 million. The county also has increased property taxes in the police district, which covers the five western towns, by more than $100 million since 2012. 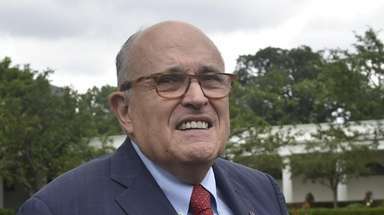 "Republicans have been screaming from the rooftops about the failure of this administration to control expenses and manage its budget," said legislature Minority Leader Tom Cilmi (R-Bay Shore). "We've been screaming about an increased reliance on debt to pay for current county expenses, including operating expenses." Legis. Robert Trotta (R-Fort Salonga) said higher costs from law enforcement contracts negotiated by Bellone have worsened the county's fiscal problems and driven the tax and fee increases. "Not only did he raise the police district property tax, he drastically increased fees and borrowed hundreds of millions of dollars from pension and sewer funds, and he still can’t balance the budget during a time of great economic expansion," Trotta said. The administration said the police union contracts will provide long-term savings through lower pay scales for new officers. Suffolk's accumulated operating debt dates to 2008, according to the Budget Review Office report, released in October. That year, Bellone's predecessor, Republican County Executive Steve Levy, borrowed $257.6 million from the tobacco securitization fund, created after a 1998 settlement between tobacco companies and states that sued to recover costs for medical services for smoking-related diseases. Levy said municipalities across the nation were borrowing from the fund, fearful that tobacco companies would go bankrupt. 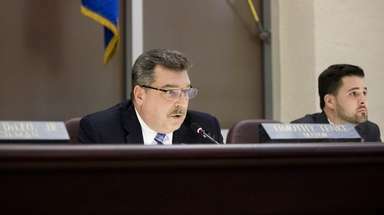 The money was spent on county operations over "four or five" years after the 2008 recession, Levy said in an interview. Levy also borrowed $19.1 million for pension costs in 2011. 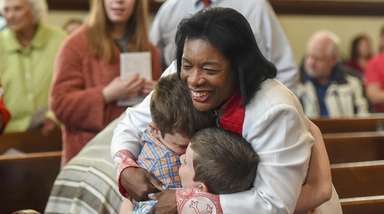 But he noted that the borrowing program, under state law, was supposed to cover downturns in the stock market, and not be used for years on end. Outside financial experts have hit Suffolk County for borrowing and one-shot budget measures. 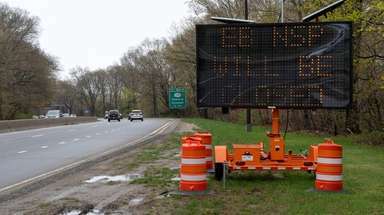 A report by state Comptroller Thomas DiNapoli's office in September said Suffolk was under the most severe "fiscal stress" of any county in the state, in terms of fund balances, cash on hand, short-term borrowing and other issues. DiNapoli listed Suffolk and Nassau counties as under "significant stress" — the lowest rating tier for municipalities. Also, Wall Street rating agencies have downgraded Suffolk's credit rating, in part because of its heavy borrowing for operating expenses. In issuing a "negative outlook" for Suffolk's long-term debt, Fitch Ratings in October cited "the county's inability to rebuild its available general fund reserves during a period of economic recovery, which will further limit the county's financial resilience in the event of an economic downturn." In September, Moody's Investor Services downgraded Suffolk County's general obligation bonds. Suffolk and St. Lawrence County have the lowest general obligation bond ratings of any county in New York, said David Jacobson, spokesman for Moody's. The downgrade "reflects the county's deteriorated financial position resulting from recurring operating deficits, deferment of pension contributions, and reliance on significant annual cash flow borrowing," Moody's said in a report. But county budget director Naughton said he believes the county is in good financial shape. He said DiNapoli changed his methodology for assessing fiscal stress, and under the old formula Suffolk would have been "moderately stressed." Comptroller spokesman Brian Butry said changes to the rating system "were designed to streamline the indicators while advancing the system’s reliability." Suffolk "was on the cusp of significant stress" the year before, Butry said. Naughton also noted that the county could have borrowed an additional $22.1 million for pension costs in 2019, but did not. "We felt that we had finally turned a corner and our goal was to be structurally balanced. With additional sales tax revenue coming in, we could afford to not borrow for the pension," Naughton said. Suffolk County has borrowed $384 million to pay pensions since 2011 and still owes $273 million in principal, , according to DiNapoli's office. On top of that, the county also owes an additional $87 million in interest on the pension debt, according to the Suffolk Budget Review Office. In 2019, the county will pay $41.8 million on the debt. Nassau County has borrowed $324 million for pension expenses, and owes $236 million, according to DiNapoli's office. Suffolk and Nassau have been two of the biggest borrowers in the state since the pension borrowing program began in 2011, DiNapoli spokeswoman Tania Lopez said. No tally of Nassau's overall operating debt was available.